The medical term for a dislocated shoulder is "shoulder subluxation". This is usually caused by a fall on the outstretched elbow or hand. The result is a very painful shoulder that can hardly move. Generally, shoulder dislocations occur after traumatic events (e.g. falls, sports collisions or car accidents). The shoulder consists of a ball and socket, among other structures. 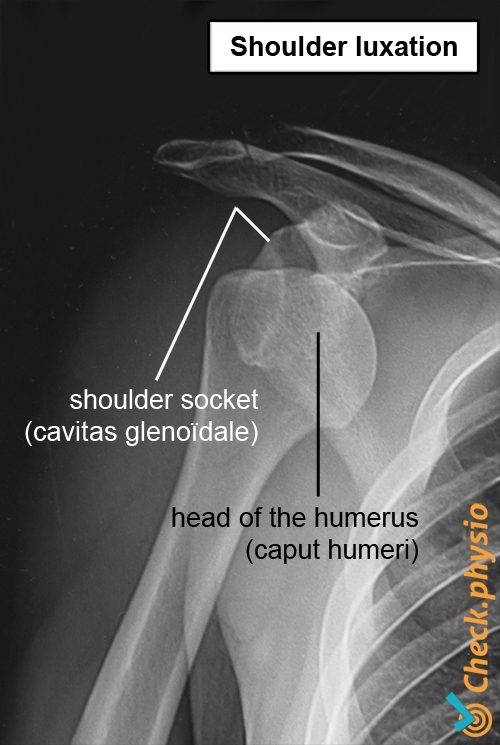 Contrary to what you might expect, the shoulder socket is actually only a very small socket in relation to the much larger head of the humerus (the upper arm bone). This gives us great mobility of the shoulder, but also makes the joint unstable. This instability is largely abated by the muscles in the shoulder and to a lesser extend the ligaments located around the joint. When a shoulder subluxation occurs, the head of the humerus shifts away from the socket, causing loss of function of the joint as a whole. This can also cause damage to ligaments and capsules, because the head of the humerus moves further than the surrounding structures can accommodate. In 95 % of cases, the head of the humerus subluxes from the socket in a forward direction. This often causes damage to the leading edge of the cartilaginous ring located around the edge of the socket (the labrum). A posterior shoulder subluxation is much less common and is often missed. A shoulder subluxation is usually the result of an accident or fall. If a person tries to break the fall by extending an arm, the forces on the shoulder can be so great that the shoulder subluxes. It can also be caused by a significant muscle contraction as a result of an electrical shock or convulsion (seizure). The patient experiences severe pain and hardly dares to move the arm. The shoulder muscles tense up as a reflex action, to stabilise the joint. 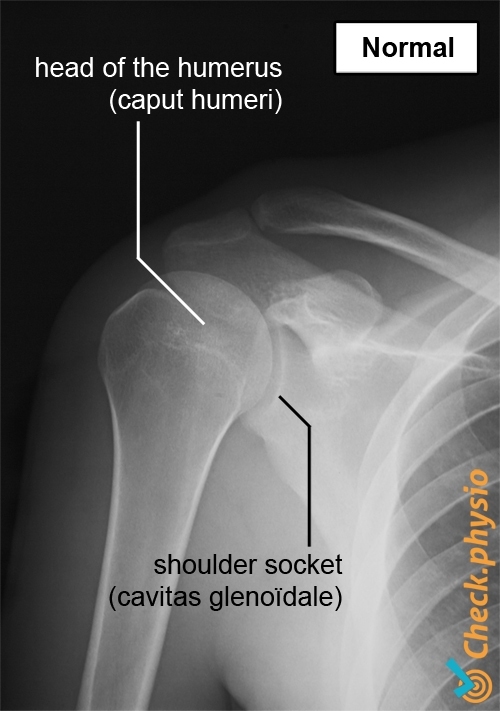 As the head of the humerus has shifted, a clear protrusion is often visible on the outside of the shoulder. The head can be felt in another position (protrusion), usually along the front of the shoulder. Shoulder subluxation can cause instability of the shoulder. If a subluxed shoulder is suspected, further radiological examinations will be performed. An X-ray can reveal the direction of subluxation and further examination can also rule out any other injury such as bone breaks, muscle tears or damage to the joint capsule. The head of the humerus must be brought back to its original position in order to prevent any further damage to structures. Depending on the situation, this will be performed with the aid of muscle relaxants and analgesia. General anaesthetic can be considered for a subluxation that has existed for a long period. Slaa, R.L. te, Bron, C., Hollander, H. den, Willems, W.J., Rutten, M.J., Winter, Th.C., Alsemgeest, M.A.M., Winters, J.C. & Rosier, P.F.W.M. (2005). Acute primaire schouderluxatie: diagnostiek en behandeling. Landelijke multidisciplinaire richtlijn. Alphen aan den Rijn: Van Zuiden Communications BV.